Thank you for your interest in Martha Grieve Photography. I would love to hear from you! If you would like more information or want to book a photo session, please fill out the contact form or you can always email me directly martha@marthagrieve.com . Please give me lots of information about what you are after so I can give you all the information you need. Or if you prefer to chat, you can always give me a call on 077916 55354. Long over due! My baby girl is 6 month old today and its about time I share with you some of my favourite images I photographed of Lucy as a tiny newborn baby. First of all my bump. From the joy of when I started to show, to the inevitable excitement of when I was ready to pop. I loved my pregnancy. There are days I still miss my bump! Thank you to my very patient husband Bob for helping me with these images. Having photographed so many newborn babies over the last 6 years, it was such a blessing to finally photograph my own precious baby girl. She was an absolute delight, so calm, so content, a real joy, such a natural. Obviously having Mummy settle and mould her was a great advantage. Even today, she still loves the camera, making my job way too easy. Yes I was tired but I was so determined. Most of these images were taken on day 9 and the black & white ones directly below were day 14. I really expected to be taking loads everyday and I honestly thought at the end of the month I had failed. However looking back, I now believe that I captured every moment perfectly. This is where I spent a couple of hours on my own in the spare room making quite a mess. As you can see, not organised at all and no actual plan. I remember thinking, why on earth am I trying to attempt this myself! However I got through it. It can be done! You can photograph your own newborn baby and looking back now, I’m pleased and grateful. Here she is, my precious little Lucy. My all time favourite of Lucy. I love her in Daddys arms – love those lips. I love her little features here. The side profile is always a popular choice with my clients. Now I can really appreciate why. My sweet baby girl. My baby girl, wrapped up tight in a ball. I like to imagine that’s what she looked like in the womb. Thank you Manu from Emanuela Redaschi Photography for assisting me with the image above for Lucy’s birth announcment. My camera was still at hand every other minute of the day. In between feeding, sleeping, washing and being slightly hormonal, I loved to capture Lucy and her many expressions. I just adore the ones below in her bird suit. My favourite at the time. Eyes wide open and you can really see that she will be quite a character! Making sure I captured every angle. Just loved her hair. Didn’t realise at time how precious these photos would be as she lost most of her hair around 4 weeks. Hands always above her head. In her beautiful cardigan Oma knitted. Tiny fingers to grow into and her tiny sleep suit she wore for the first two weeks. Love the little details – her little chicken legs. Gazing at her Daddy. In LOVE! I didn’t realise how much I would love feeding her. Her little hand stretched out – such precious intimate moments. Self timer… A must have for family photos! Testing the self timer and she smiled. bliss! And a yawn… Who doesn’t like a baby’s yawn? This image is so special to me. Her first sponge bath. She still absolutely loves baths today. She was always so patient, so content, so calm. Daddy bonding time. Wow how time flies! From newborn to 6 months, my baby girl is growing up fast. Chubby little hands and chubby little toes. Wearing two very special bracelets. Both from her great Grandma. One is 87 years old and the other is brand new. She looks so very proud and her Mummy is very proud too. What an absolutely fantastic evening at the annual awards evening with the UK Guild of Photographers in Crewe last weekend. 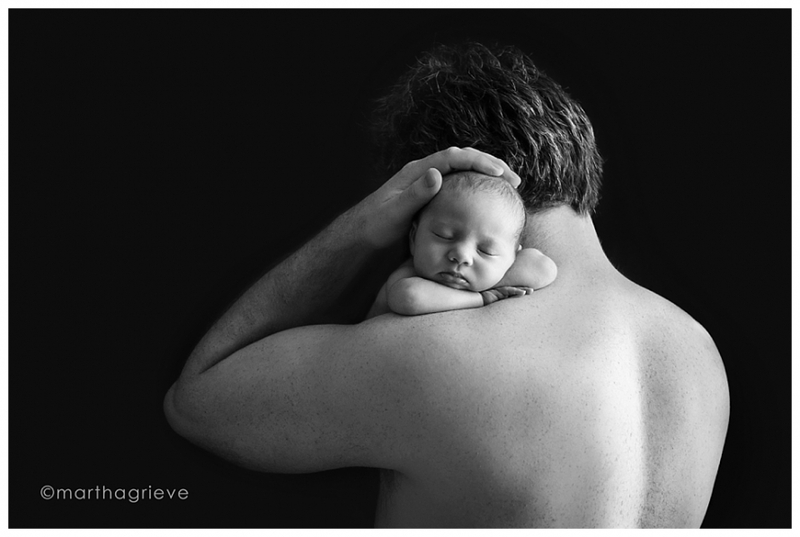 I was so thrilled to be awarded 4th place in the Newborn & Baby category, Top 10 Photographer award 2014. With so many incredibly talented photographers in the running, I was delighted that my determination and consistency paid off in the end. A little bit of background on the award… The competition is a culmination of a year’s worth of monthly entries (3 maximum images per month) with scores tallied up to determine who wins one of the top ten photography awards in each category . Over 10,000 images were entered by photographers from all over the UK and Europe. I have been fortunate to meet so many amazing and gifted photographers along the way, many of whom have become lovely friends. It was so special to have shared the evening with them and to have celebrated our achievements together. A big thank you to Nina Mace, Sam Hayward, Mark Lynham, Rebecca Spencer and Sally Masson, to name a few. I’d especially like to acknowledge Stephanie Belton, who has been my mentor over the last 6 months. I owe so much to Stephanie for her guidance and encouragement, which has really helped me shape my skills and form an effective business model. It has been an absolute pleasure working in and around London, capturing these beautiful images and meeting such amazing families. I love the fact I can offer a service that caters for new parents in the comfort of their own homes. I work solely on location to create these naturally-styled posed images, thus offering the bare minimum of stress and hassle for my clients. I am a proud member of Banpas, an association whose members are amongst the UK’s leading baby and newborn photographers. They promote safe working practises and are dedicated to ensuring that safety and comfort takes priory whilst creating these pieces of art (a very important attribute to consider when choosing your newborn baby photographer). My most sincere gratitude also extends to all of my clients and casting call models who have allowed these images to be considered for competition. I don’t often photograph outside, but just couldn’t resist on this beautiful Autumn day! Finn has just turned one and his Mum & Dad wanted to celebrate it with a family photography session. Don’t you just love the golden autumn leaves?! Such a beautiful backdrop. What better way to spend a lazy Sunday afternoon than at Wandsworth Common? A popular spot in this beautiful, family oriented suburb. Finn found his feet early. He started walking at only 9 months old, and he hasn’t looked back. Exploring the common with his bunny pal in hand, he had such a spring in his step I think he forgot it was Autumn. I photographed Finn as a newborn baby. The joys of return clients, you get to see how much they have grown up! Want to have your little one captured this Autumn? I have a couple of spaces left in November for some outdoor baby portraits. Do contact me for more details. 1 year old baby photo session, introducing Isabella. We had fun during her 1 year old baby photo session last week. Such an interesting age to photograph. Isn’t she gorgeous! I can’t expect all smiles and a happy dance. 1 year olds are unpredictable. They can be laughing, crying, serious and stubborn all within seconds of each other. Trying to settle them in one spot and smile at the camera is not always an option. However, I do strive to capture at least one image where there’s a connection between the child and the viewer. Isabella was no exception. She loved her freedom therefore it was important that she didn’t feel restricted. Running around may not have been the original plan, however we captured some beautiful peek-a-boo shots and spinning around in circles. What really finished these images off was her clothing. Her parents did a great job choosing a plain neutral outfit which complimented her natural beauty, giving a light, timeless feel to the final images. Reading stories and sitting in her toy box are some of Isabella’s favourite activities. These were great ways to keep her in one place, photographing some action shots, telling her story. To a little one, a room can feel rather small and confined quickly, especially when working with natural light as positioning is important to capture beautifully lit images. Therefore we moved around. We went out to the hall and took advantage of the stairs, having her climb up, leading the way. She seldom looked directly at the camera, so when she did, I had to be ready for whatever expression she gave me. I hope you enjoyed these images from Isabella’s 1 year old baby photo session. For more information about these sessions, do give me a call on 077916 55354 or fill out the contact form and I’ll get back back to you for a chat. A short drive to Balham and had a lovely newborn photography session with little Finley, 12 days old. Gorgeous hair and beautiful long eye lashes. He adored the cuddles and extra attention but enjoyed his long deep sleep as well. Perfect to capture these curly adorable poses. An absolute joy to work with. Enjoy these sneak peeks! Beautiful baby boy, gorgeous lips! Had fun with these two and the colour blue! Gorgeous 12 day old newborn twins. One perfect little little sleeper, his sister had other ideas! An absolute pleasure to photograph. As you may know I am a member of the Guild of Photographers – a highly regarded national photographic body whose members are dedicated to enhancing their skills in the art, craft and profession of photography. Every month they have competitions and the judging is undertaken by a panel of internationally recognised experts from a variety of photographic backgrounds. I love entering and can be so rewarding. It also helps me grow and to push myself to achieve a variety of well crafted images. So far this year I have entered 15 images, which were all awarded! Yay! 1 Silver and 14 Bronze Bars. Very Very excited about my Silver! Here are a few. Enjoy!